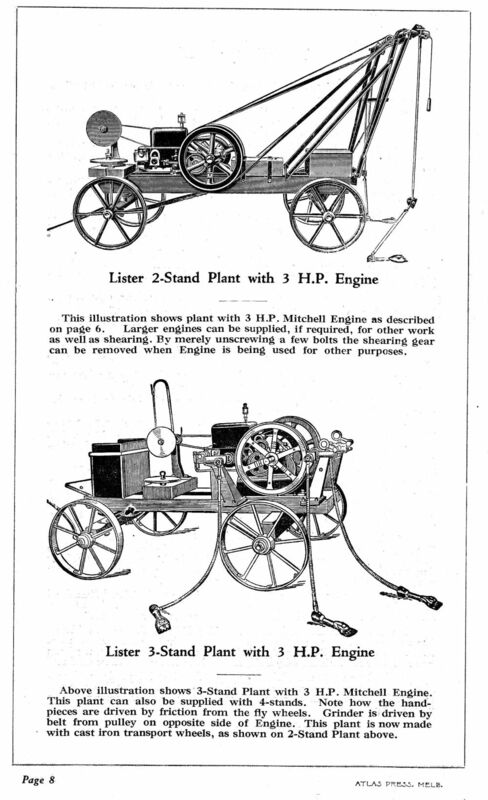 Spanners V96 and V99 were supplied with Mitchell Drills from 1904. M & Co Malleable Spanner - not known for which implement. Malleable Spanner marked "M" - a possible Mitchell spanner. 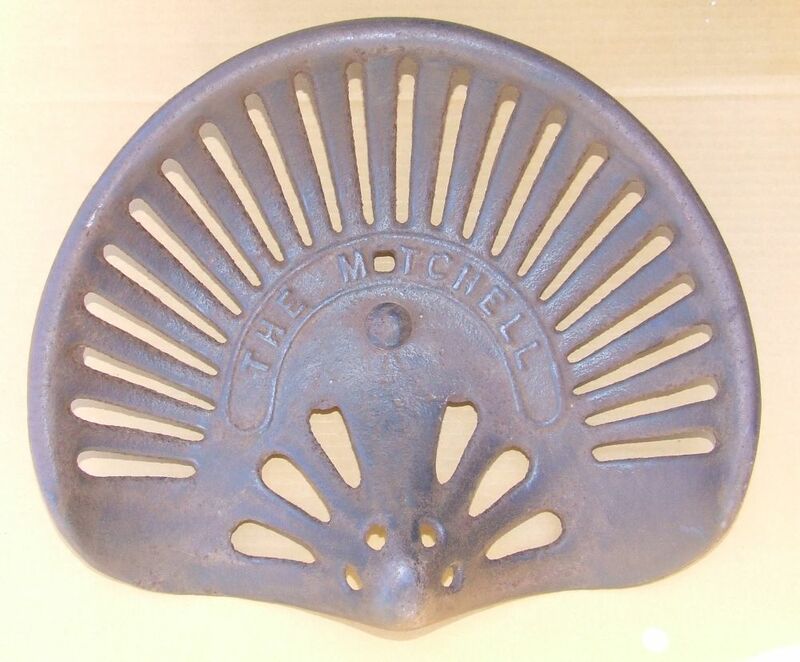 Mitchell Cast Iron Implement Seat Type 2 "The Mitchell". 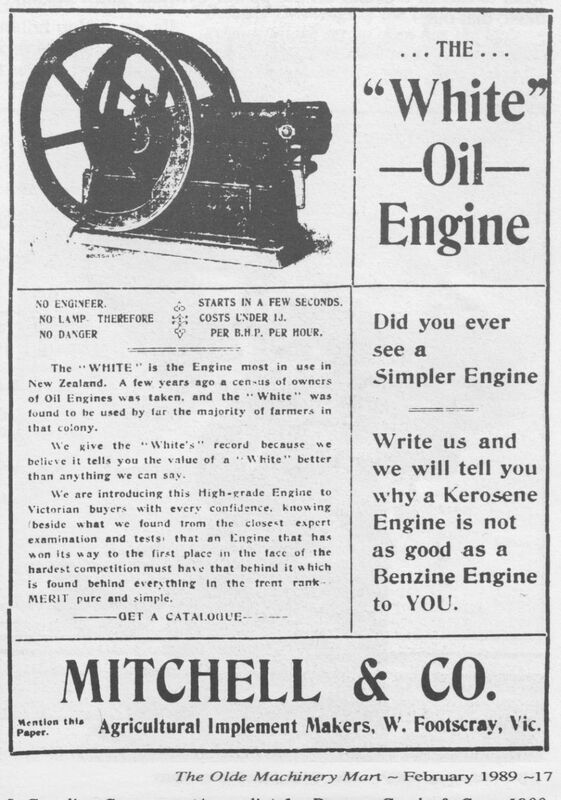 John Mitchell and later Mitchell & Co.
Mitchell & Co operated from the 1880's to 1958 when they were bought out by Horwood Bagshaw . 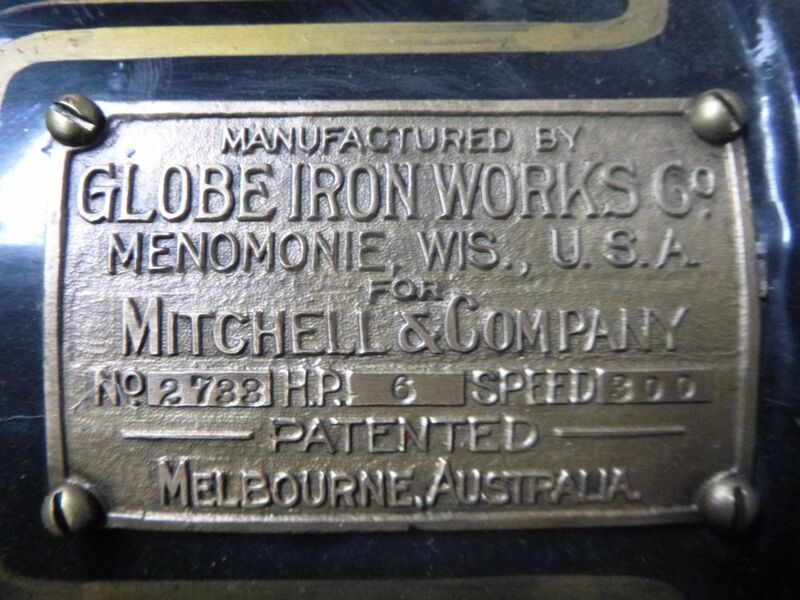 Mitchell & Co were listed at various addresses starting from Elizabeth St in inner Melbourne, with other references to premises at Bourke St and Footscray and Burwood in Sydney. 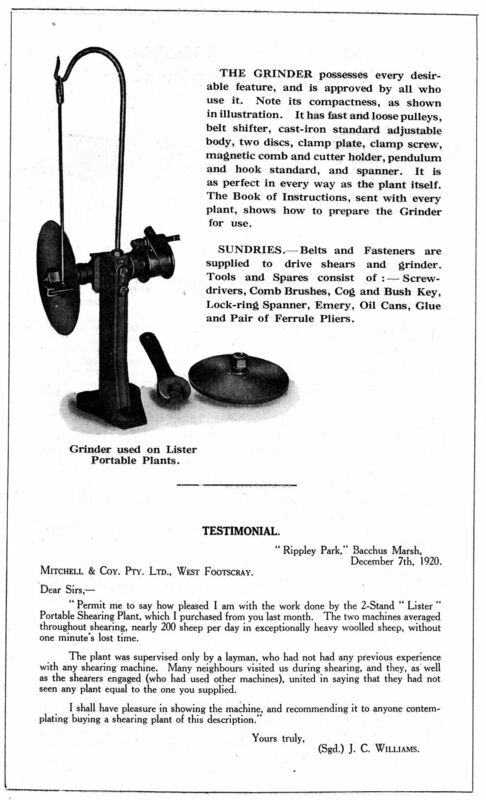 They were listed under Agricultural Implement Makers for many years in Victoria's Sands & McDougall Directories. The State Library of Victoria has an aerial photo of the premises of "Mitchell & Co Farm Machines and Implements" at the corner of Geelong and Sunshine Rds, West Footscray taken C 1940's - it is a huge building, covering nearly 2 acres. 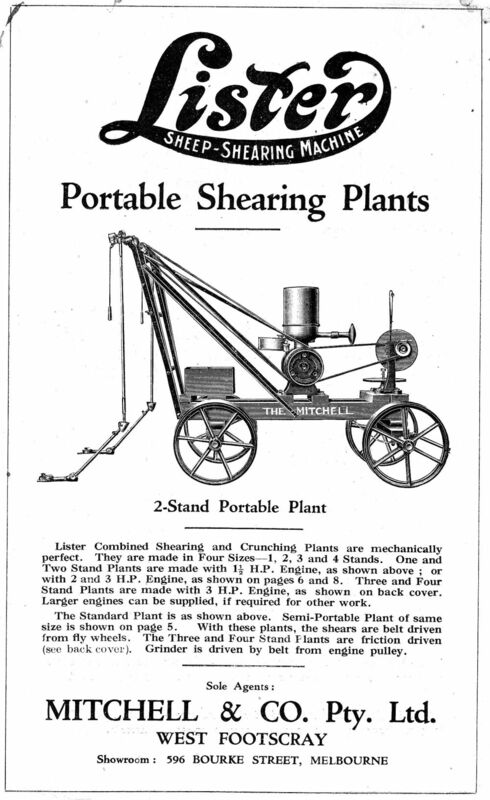 In 1891 Mitchell & Co took over or absorbed in some other way the Agricultural Implement makers : Thos Henderson & Co, already established by 1875 according to S & M 1875. Thos Henderson had a well established Agricultural Implement Manufactory, but Henderson went broke in the Victorian Land Boom-bust in 1880-90's. Henderson had thrice been mayor of Hotham (now North Melbourne). 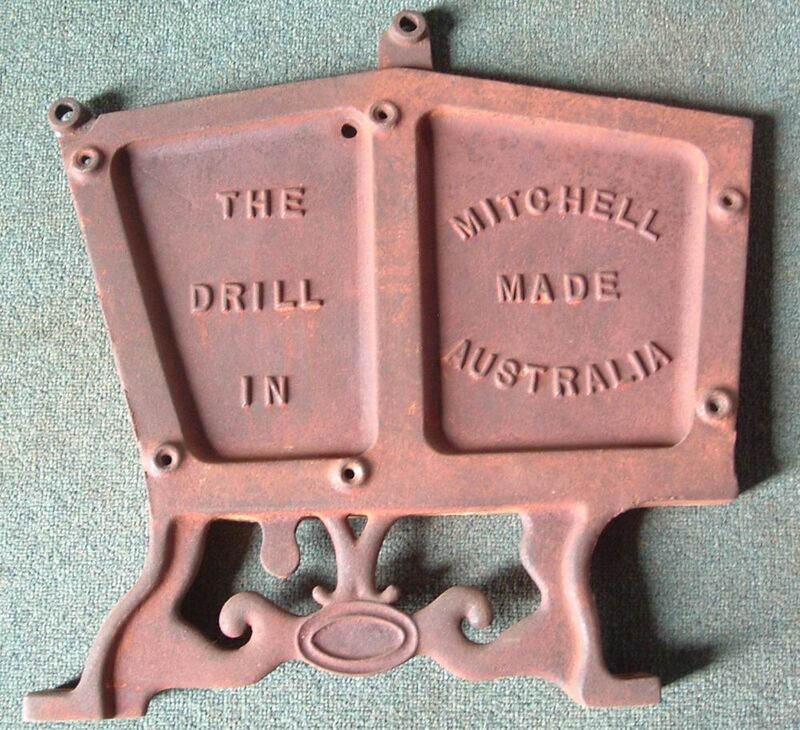 Some sources suggest that is was a partnership of some description, whatever the real story is, Henderson plant was taken over by Mitchell in 1891, and Henderson left Melbourne with wife and two sons for Corowa where they set up the Riverina Harvester co.
Mitchell & Co made a range of harvesting and cultivating implements and machines. 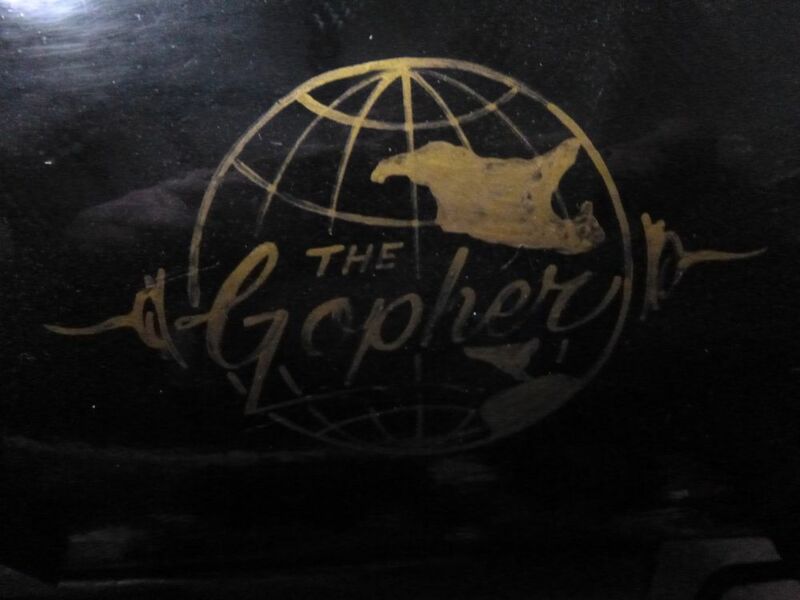 Their motto was "Something To Crow About" in conjunction with a pic of rooster crowing. Hard times must have befallen them as they were taken over by Horwood Bagshaw in 1958. 1. Sands & McDougalls Victorian Directories - various. 2. 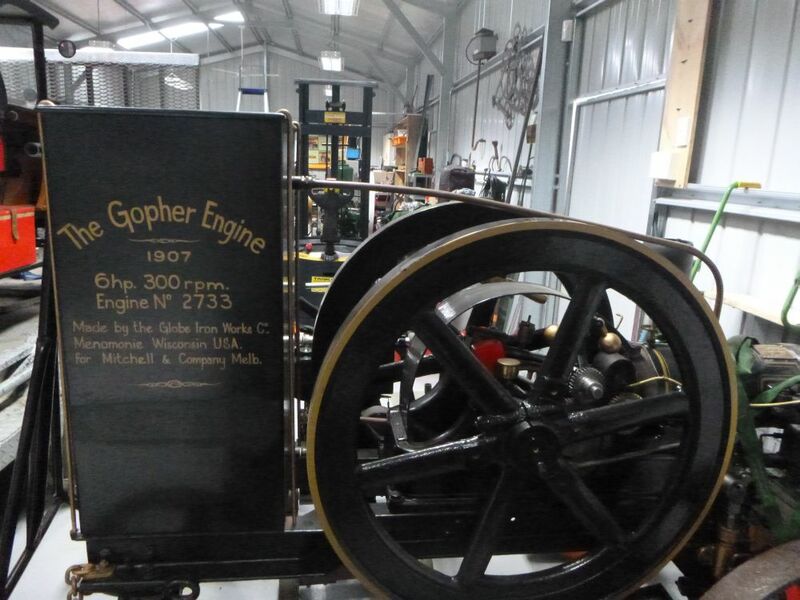 "Bagshaw Engines" by Jeff Holly. 3. Notes assembled by David Bloodwood. Spanners marked Mitchell have not been seen by us, so must be rare. 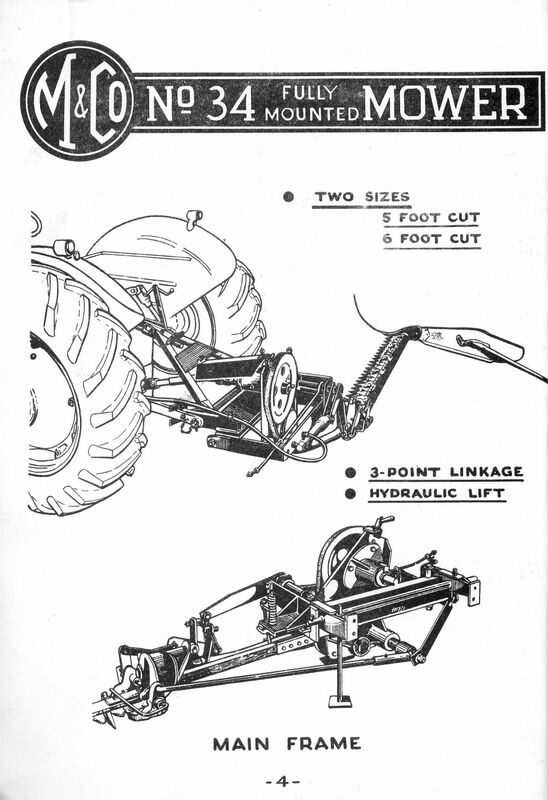 The majority of spanners depicted in parts list for various machine look like the flat plate type and we have not seen one with the corresponding number as marked in lists. 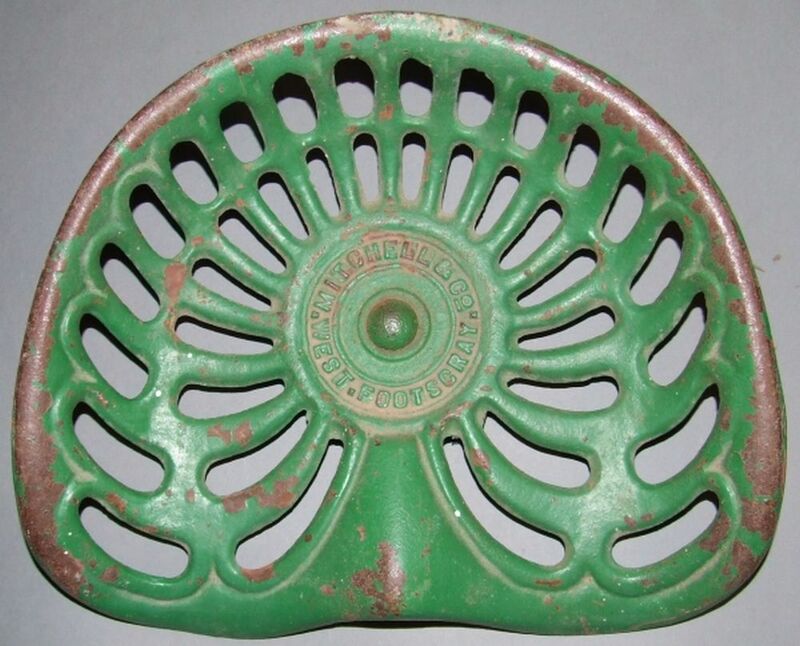 There are some however, of Malleable iron - pictured below. If anyone has others to supply pictures of, please make contact on the link below. 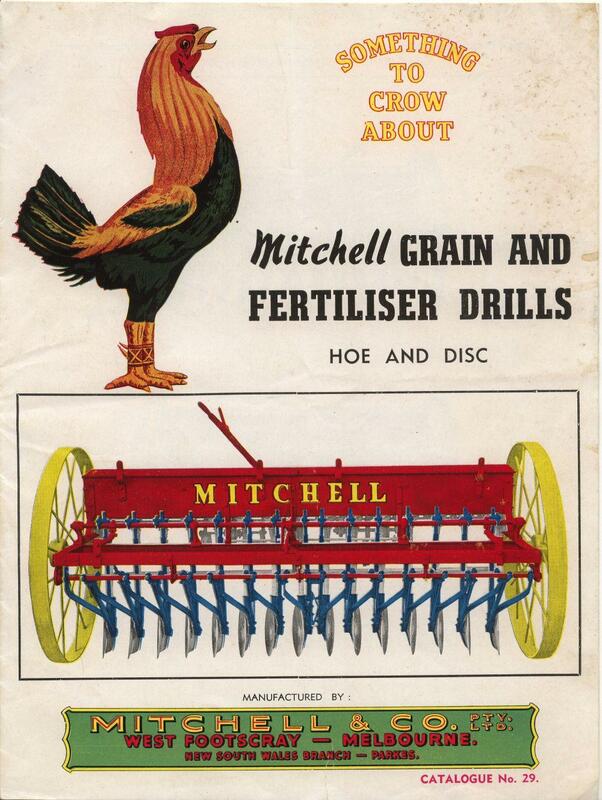 Mitchell Grain & Fertiliser Drills cat #29 cover. © Ozwrenches, prepared to swap photocopy for one we don't have. 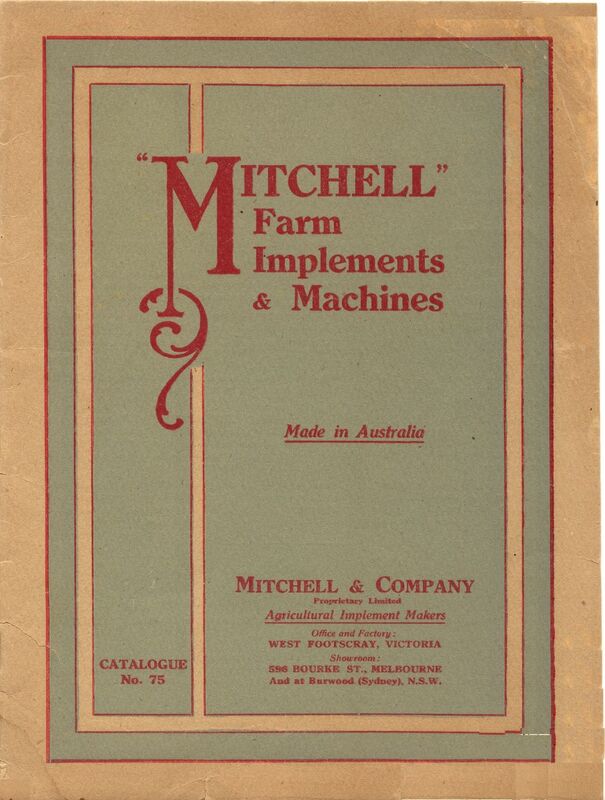 Mitchell Farm Implements cat #75 cover c 1910. © Ozwrenches, prepared to swap photocopy for one we don't have. 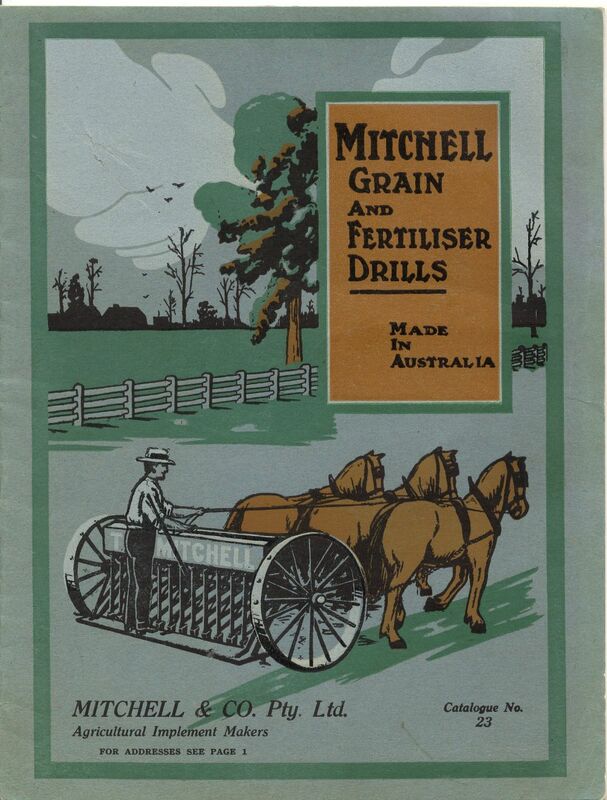 Mitchell Grain & Fertiliser Drills cat #23 cover c 1917. © Ozwrenches, prepared to swap photocopy for one we don't have. 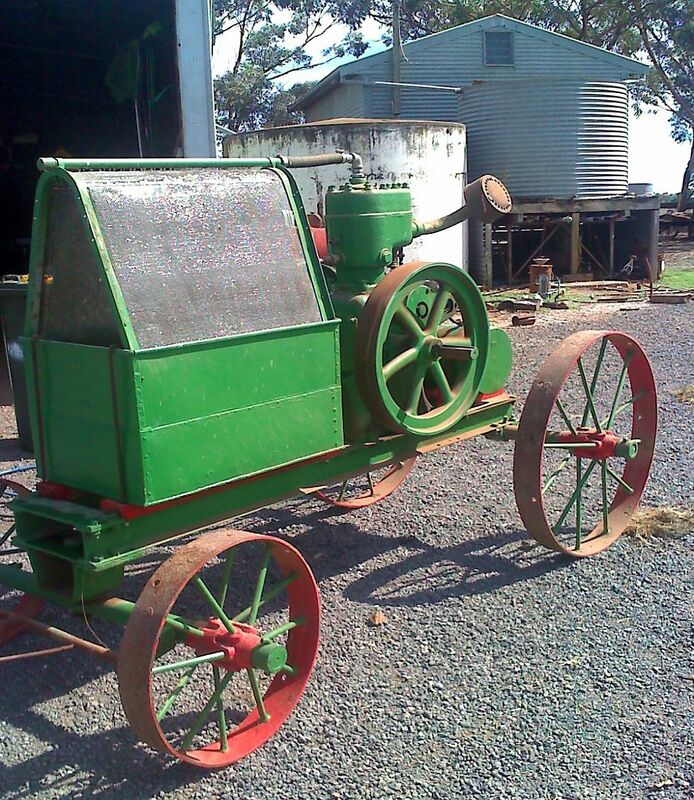 Mitchell No 34 Fully Mounted Mower cat cover. © Ozwrenches, prepared to swap photocopy for one we don't have. 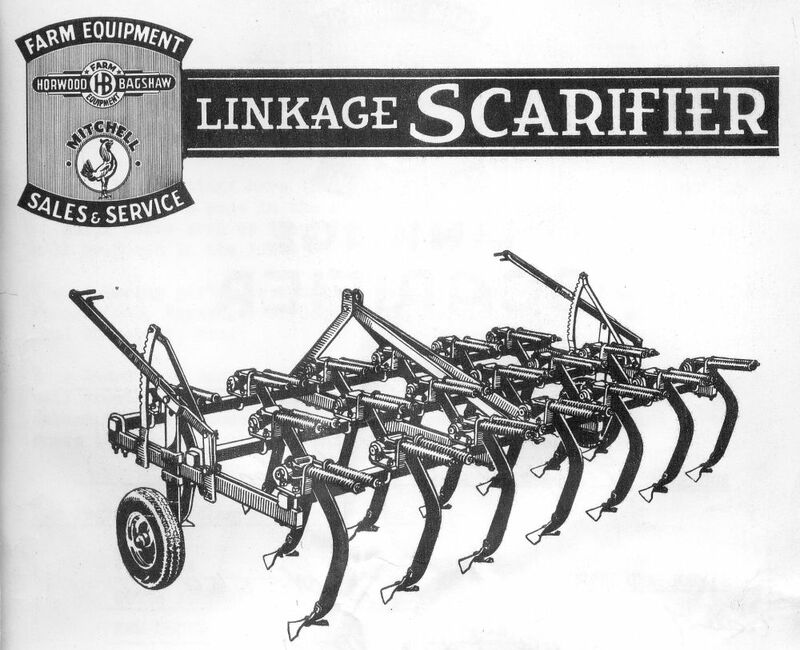 Horwood Bagshaw / Mitchell Linkage Scarifier - from the time after HB took over Mitchell. HB must have kept the Mitchell product line in production © Ozwrenches, prepared to swap photocopy for one we don't have. 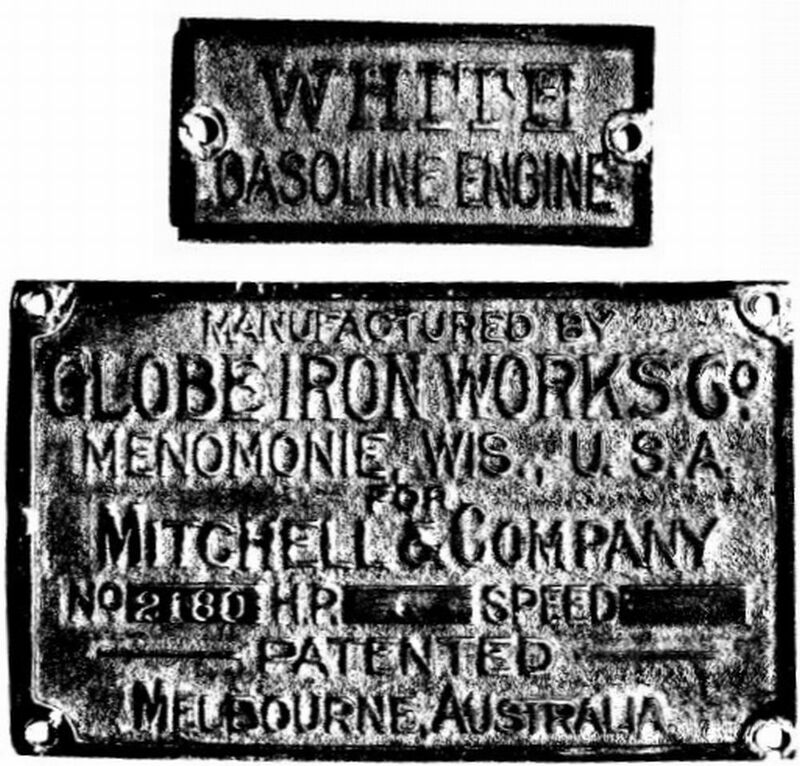 Engine Plates identifying a White Gasoline Engine made for Mitchell Co, patented in Australia © Darren Allison, used with permission. 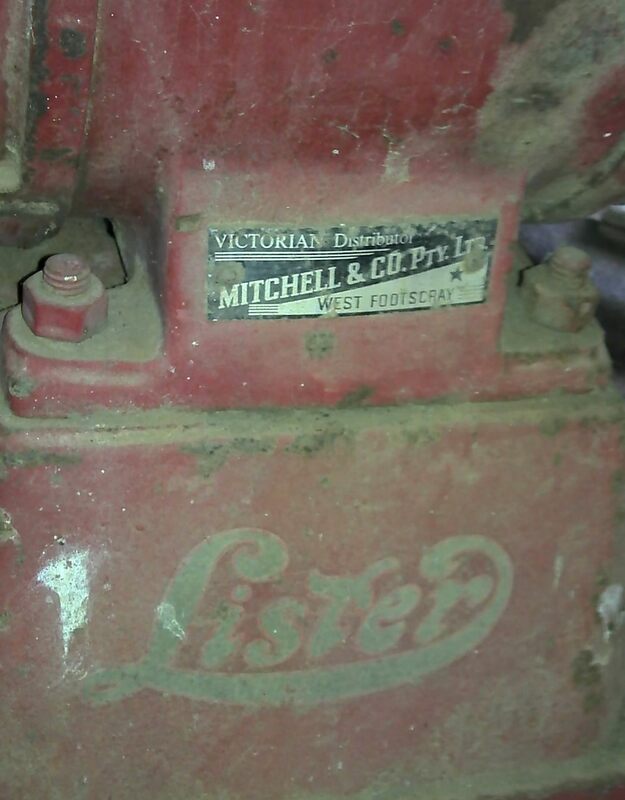 Lister electric shearing grinder with a Mitchell distributor nameplate also, pic supplied by Darren Allison.